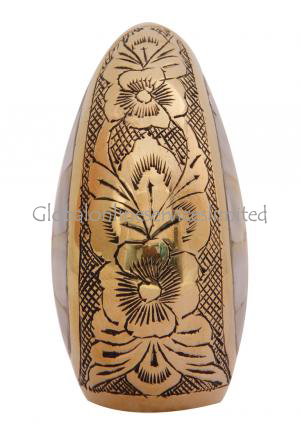 Teardrop keepsake cremation urn is designed to store ashes of the loved one’s and made of brass metal with the engravings of flowers on the brass enamel. 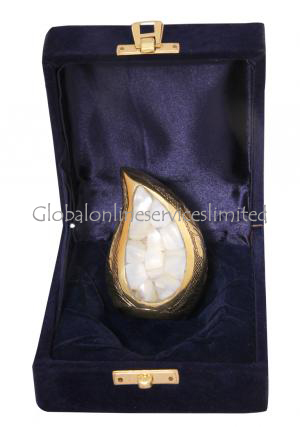 Mini keepsake memorial urn has pearl finish centred in the shape of the urn and bordered with black polished finish. 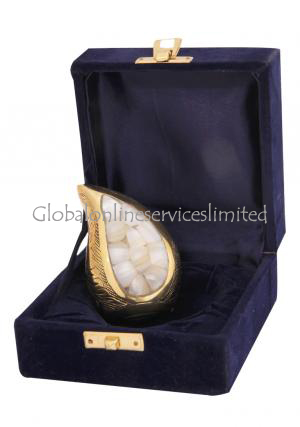 Teardrop keepsake funeral urn has screw threading at the bottom for insertion of the ashes and secure the ashes. 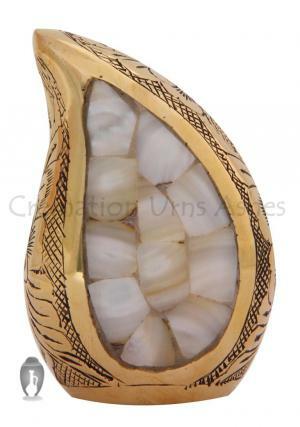 Urn makes it the most affordable beautifully monument to decorate the home with the memories of the loved one’s. 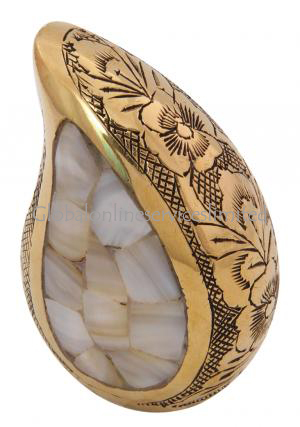 Mother of pearl teardrop keepsake urn has 4 cubic inches of storage capacity with 2.95” inches tall and weighs around 0.25 Kg.